Creativity, Innovation & Visual Thinking. Are you ready to learn and use the most powerful visual thinking method? DISEGNO BRUTTO in giacca e cravatta will help you to develop your ideas drawing badly, finding a new point of view, it is a practical path to learn to use the drawing as a tool daily creativity, innovation and communication in the company and in working teams. 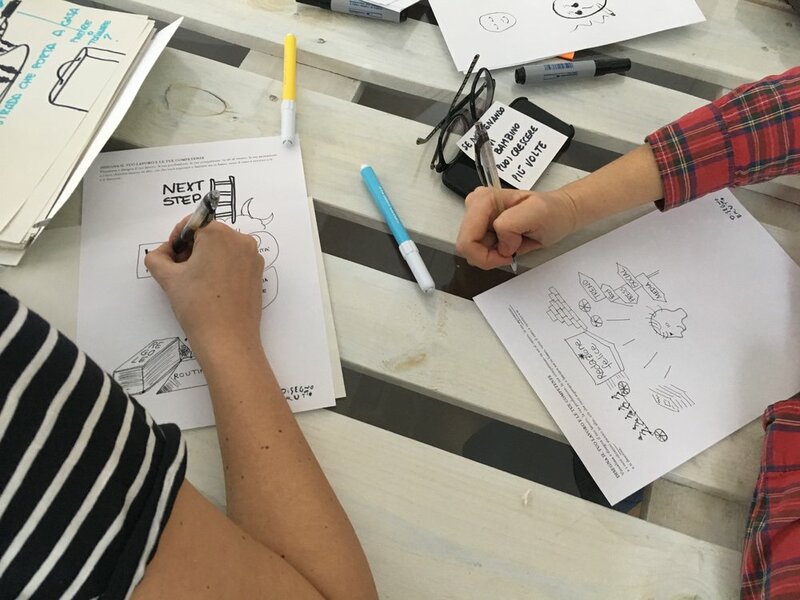 This workshop is designed to allow you to improve your communication skills and idea generation capabilities, exploring visual thinking approach that everyone can use. Alessandro Bonaccorsi is a visual designer, illustrator, graphic recorder and inventor of DISEGNO BRUTTO. You will be our host for welcome coffee & lunch. All materials and “La Via del Disegno Brutto” book included. Thank you we will wait for you at the workshop! What is our approach to innovation? What are the key factors driving innovation and what are the factors that stop change? What steps are needed to develop a new product? What should focus our attention on? Imagination is our mental faculty to conceive what is not there. Creativity can be considered as the application of imagination. 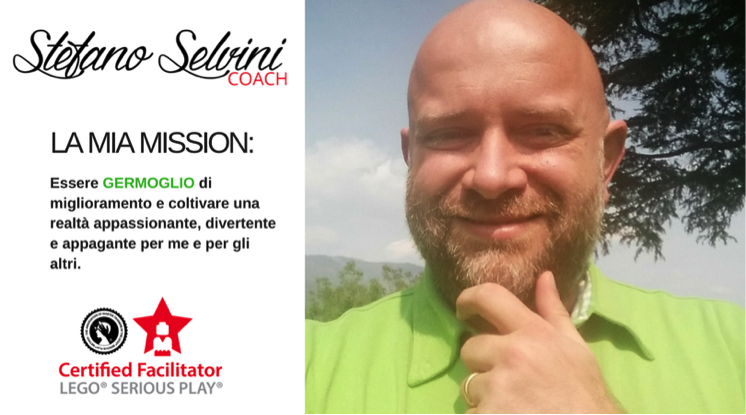 The LEGO® SERIOUS PLAY® method is able to develop a combined action of these two factors to shape ideas, needs, requirements new conceptions of the product. This workshop is designed to explore the issue of product innovation from a new perspective, comparing different professional figures to ensure that through hands and LEGO® bricks give space to the imagination and the development of lateral thinking. 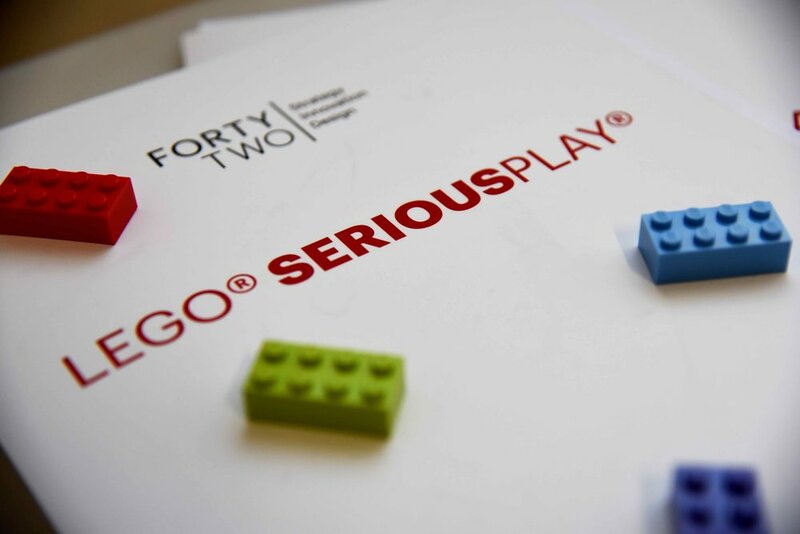 By its very nature, the LEGO® SERIOUS PLAY® methodology compares all the parties involved, so it is designed to involve all participants vertically (top-down mode). Innovators, entrepreneurs and managers who want to find a new way to deliver original ideas and achieve successful innovation. LEGO® SERIOUS PLAY® is a technique of facilitating thought, communication and problem solving used during meetings where participants use LEGO® bricks to create metaphors of their organizational life, their own experiences and their emotions. You will be our host for welcome coffee & lunch. We have started, through The Hero Plan method, a 8 weeks innovation program for AGOS with 5 teams and 22 fighters. The project started the second week of July with an extended workshop to share the hero plan culture and language and will end the end of September with the final presentation of all the projects to AGOS innovation board. We will work with customer teams to make it happen through workshops, face to face meetings, mentoring and wakigami online platform. "The innovation program is a really intensive and full of magic experience. We are fully engaged and FOCUS FOCUS FOCUS! Just great!